Never before has there appeared in English such a collection of essays concerning Alexander the Great's legacy in world literature. 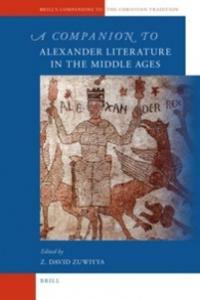 From Greek and Latin works of the Classical Period through Medieval texts in Syriac, Persian, Coptic, Arabic, Ethiopic and Hebrew, as well the European languages, the fourteen chapters cover the gamut of Alexander literary studies as compiled by some of the foremost scholars in each field, bringing the reader up-to-date on everything Alexander. These experts share their results after years of investigation in the field, and, in doing so, point the reader toward the essence of each of the myriad of Alexander romances, while at the same time including copious notes and bibliography to prepare the reader for his or her own Alexander journey.